You don't have to be a teenager to be afflicted with acne now and then. An inflammatory skin disorder, acne is caused by your pores becoming clogged with dead cells and excess skin oil. Inflammation-causing bacteria living on your skin can exacerbate the condition, causing nodules and cysts, which may result in permanent scarring. Acne can damage your self-esteem and even cause depression, but it is treatable. Your dermatologist may prescribe topical retinoids and antibiotics for your acne. Natural healers sometimes recommend propolis, a bee product, to alleviate acne. Although clinical trials are lacking, scientific research supports propolis' antibacterial, anti-inflammatory and antioxidant effects. Consult your doctor before using propolis. Propolis -- also known as bee glue and hive dross -- is a greenish-brown or reddish-brown resinous substance collected by honeybees from the leaf buds and barks of conifer and poplar trees and used as caulk to seal gaps and holes in hives. The Greek philosopher Aristotle coined the name propolis, using "pro" -- in front of -- and "polis" -- city -- to refer to the use of propolis at the entrances of the bees' hives, or cities. Propolis has been used since roughly 300 B.C. as a cosmetic and a medicine, and has been employed in folk and traditional medicine to heal burns and protect wounds from gangrene. Propolis is currently being studied for its anti-cancer properties. Modern-day herbalists may recommend the use of propolis to treat skin conditions, boost the immune system, treat tuberculosis, decrease cavities, prevent canker sores and promote the health of damaged teeth. The level of the active constituents in propolis can vary depending on the geographic location and time of year in which it is collected. Propolis contains antioxidant flavonoids, including quercetin, pinocembrin, galangin and pinobanksin. Caffeic acid and hydroquinone -- an organic compound often used in commercial cosmetic formulas to treat skin and lighten age spots -- are present as well. Propolis also contains magnesium, nickel, calcium iron and zinc. Drugs.com -- which provides peer-reviewed medical information to consumers -- credits propolis with antibacterial, anti-inflammatory and antioxidant effects, adding that the antioxidant powers of phenolic compounds in propolis, particularly caffeic acid, are more potent than both vitamin C and vitamin E. All of these compounds are beneficial when treating acne. In one study, propolis caused increased activity of superoxide dismutase, a powerful natural antioxidant found in the body. 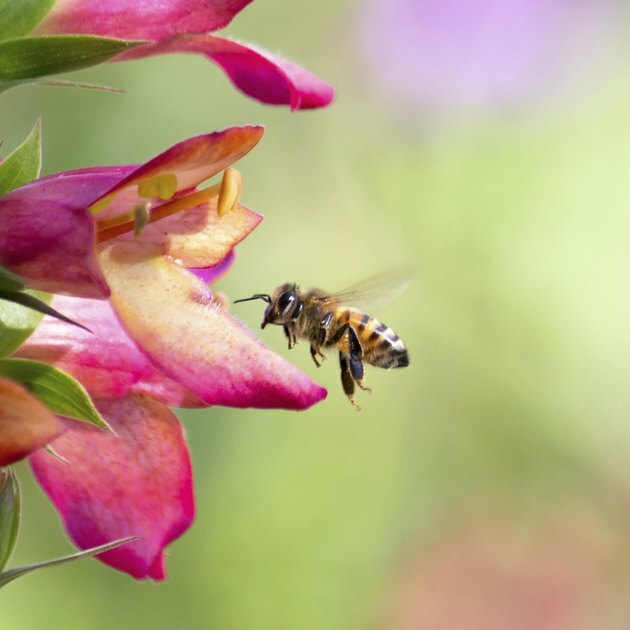 According to the South East Hertfordshire Beekeepers Association, propolis promotes wound healing by enhancing epithelial cell growth, increasing circulation and preventing scarring. Scientific research supports the ability of propolis to inhibit bacteria associated with acne. In a laboratory study published in 2006 in "Anaerobe," a team of Bulgarian researchers found that a propolis extract was active against most strains of anaerobic bacteria, including Propionibacterenum species -- also known as P. acnes -- the bacteria responsible for acne inflammation. The researchers expressed the hope that their study would spark interest and encourage further medical research into propolis for the prevention and treatment of oral and skin diseases. New York University Langone Medical Center notes that propolis is normally taken in dosages of 500 milligrams a day. Topical creams and sprays are also available. Propolis is generally nontoxic, but allergic reactions have been reported. If you are allergic to other bee products -- such as royal jelly, bee pollen or honey -- or conifer or poplar trees, don't use propolis unless you are first tested by an allergy specialist. Consult your doctor before using propolis. Don't use propolis if you are pregnant or breast-feeding. What Can I Use With Biotin So I Don't Get Acne?